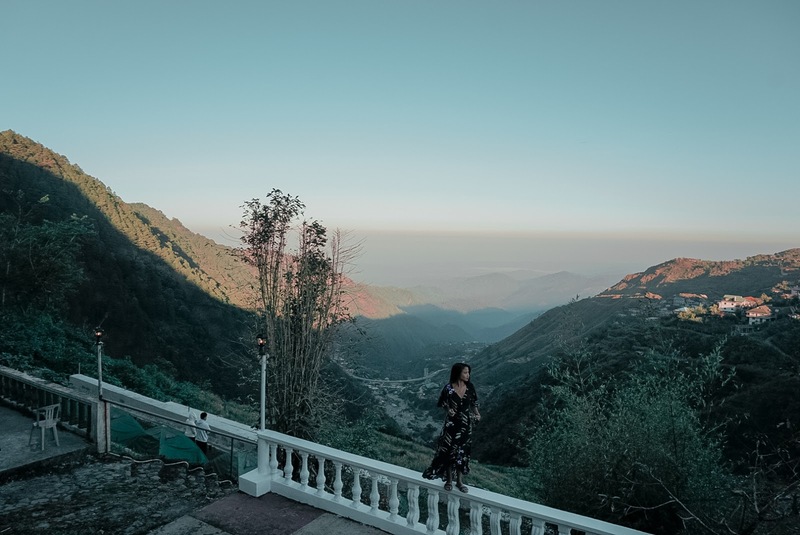 The province of Benguet is famed by the stunning rolling hills and mountain ranges with the glorious sun rising and setting in between. 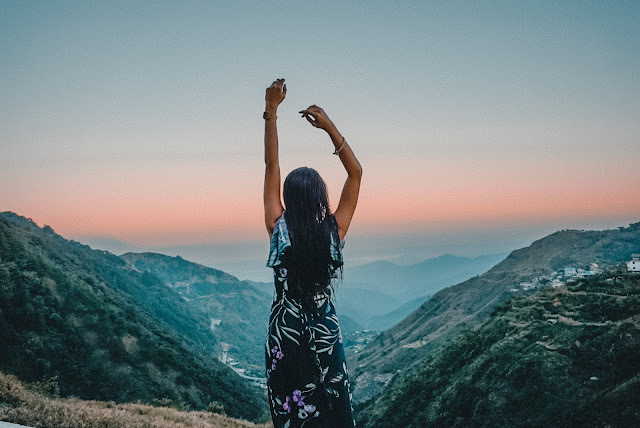 More often than not, hiking for hours is the only way to get this picturesque view every adventure seeker is craving for. 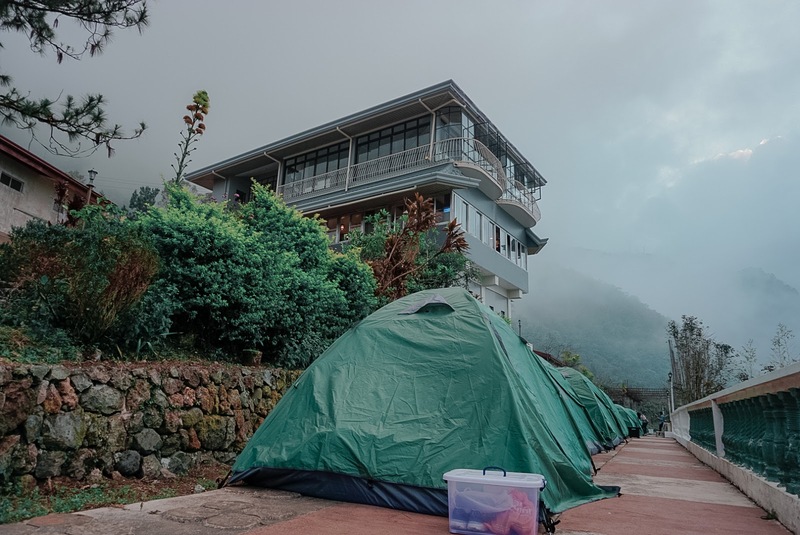 Say no more for this newly opened campsite located in Brgy. Sto. Tomas, Tuba, Benguet gives you this exact view without trekking for miles. 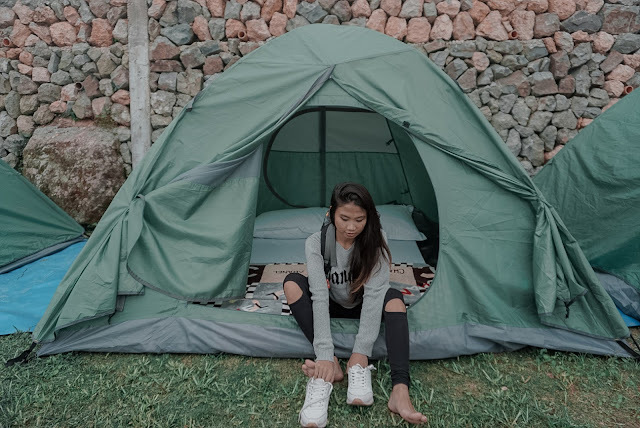 On top of that, how about opening your tent up to a sky full of stars in the middle of the night, an impossibly magnificent morning hues with unlimited brewed coffee? Valleypoint Campsite got your back on this one. We left the bustle of Manila at 7:00 AM and arrived at Tuba at around 1:00 PM. It was so cold we that had to put on another layer of clothes. From there, we took a cab to Valleypoint Campsite. The driver just dropped us off the check point and we had to walk our way to our destination. It was an uphill walk with the fog and thin cold air surrounding us. Our systems are accustomed to being congested with the city's air lol that it made us hard to breath properly well at first. 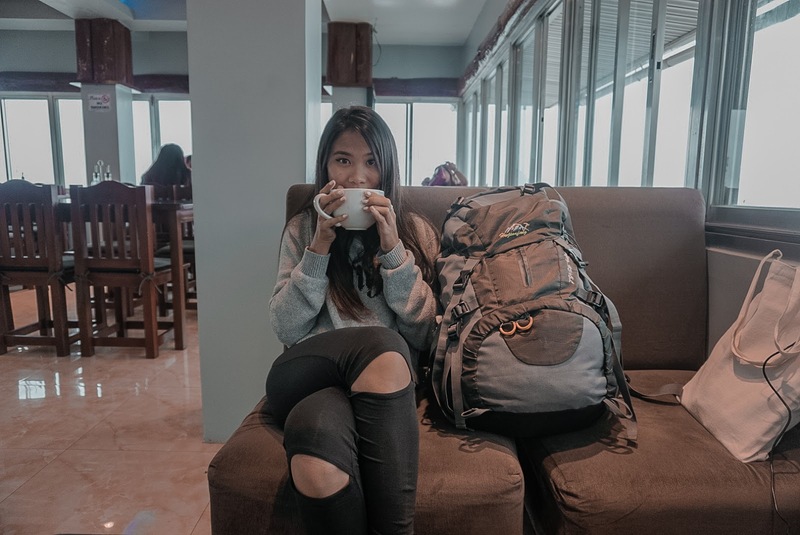 When we arrived at Valleypoint, we stayed at the restaurant and bar first and were offered with brewed coffee. It was much colder at that point and we see nothing but white outside the windows. Famished by the long drive, we ordered some food. At first, we hesitated because the food seemed a little pricey. 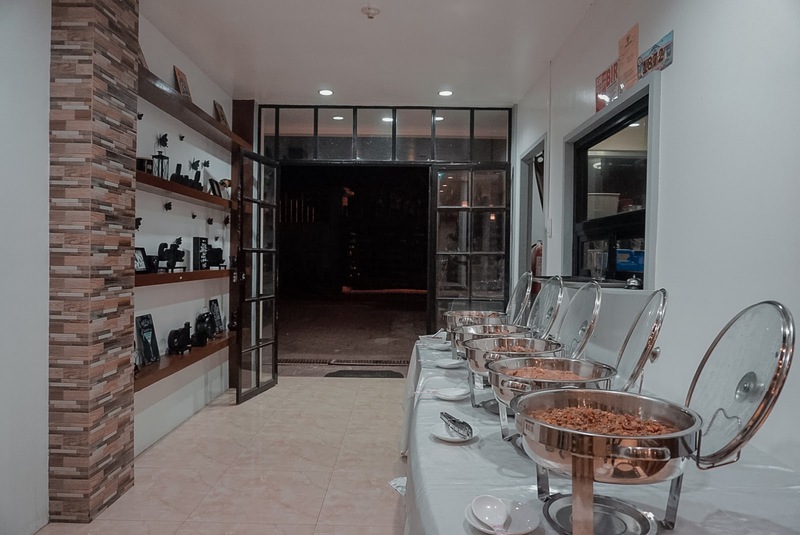 But when our food came after few minutes, we could not imagine how are we going to finish all the food that we ordered because as we have estimated, the food is good for three to four persons. The serving is unbelievable! After an hour and a half of stuffing ourselves with good food, we were given our tent number and ready to be occupied. 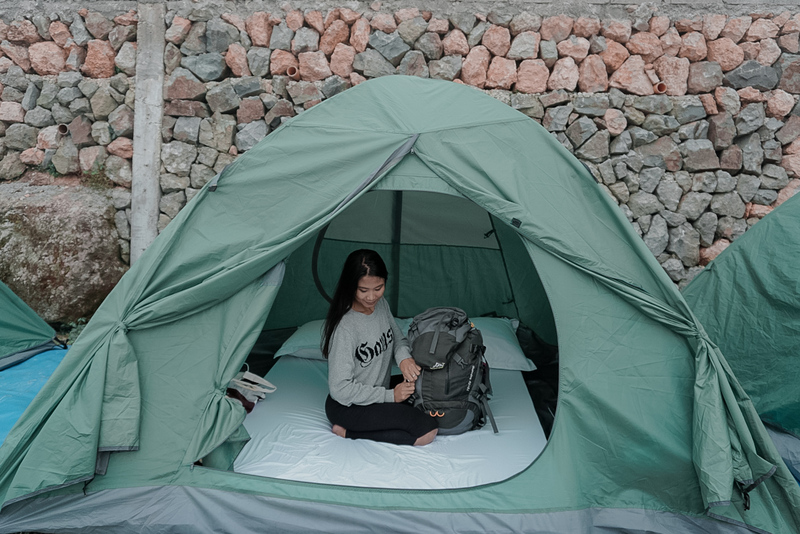 The tent can hold up to four persons. It's a double coated one making the guests inside protected from the extreme cold breeze from the outside. 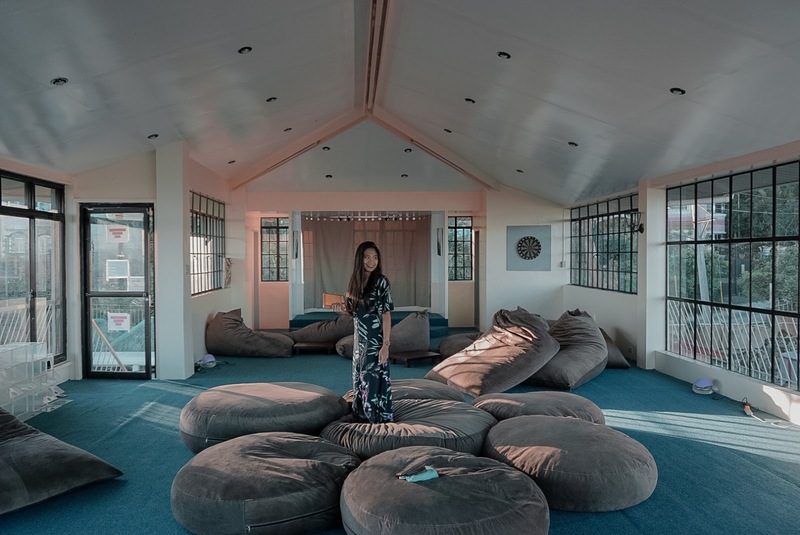 There's a queen size mattress inside, soft ye thick blankets, pillows and a box where guests can put their shoes in as it might get wet due to the dew it may get from being left outside. There are no source of light like lamps or bulbs inside but there are small and tall posts outside. There are no outlets available around the campsite. You can charge your gadgets, however, at the campers' area at the top most floor of the main building. There was no view at all when we came but when the sky cleared up as well as the fog went away, our view from the campsite was breath taking! It is like we hiked for hours for the view! We were never bored in our stay at the campsite. There are books to be read, board and card games to be played, a breathtaking view to be admired and coffee to be enjoyed. During our stay we also decided to visit Baguio City as it is just some 30 minutes away from the campsite. We bought stuff from the night market then returned to Tuba at around 11:30 PM. When we returned to the campsite, we were astounded by the view of the sky full of stars from our area. The following rates include a bkanket that will surely warm you up, pillows, unlimited brewed coffee, breakfast of your choice, airsoft coupon 150 rounds riffle, access to campers area, board games, card games, darts, books, campsite, restaurant and bar, hot and cold shower, view deck and free parking. Guests who are only visiting the Bar and Restaurant and not checking in are not allowed to go to these areas. The campsite only has three rooms open for backpackers which can accommodate 4, 6, and 10 persons. The beds are either single or in double decks. The rooms may be shared with others if the group is unable to fill the maximum capacity of the rooms. 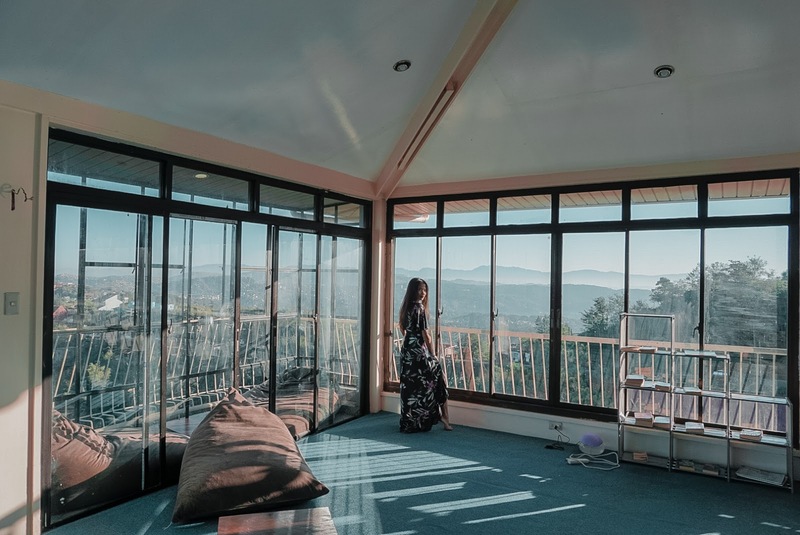 If the occupying group wants the room only to themselves only, they may opt to pay for the rate of the whole room in consideration of its maximum capacity. 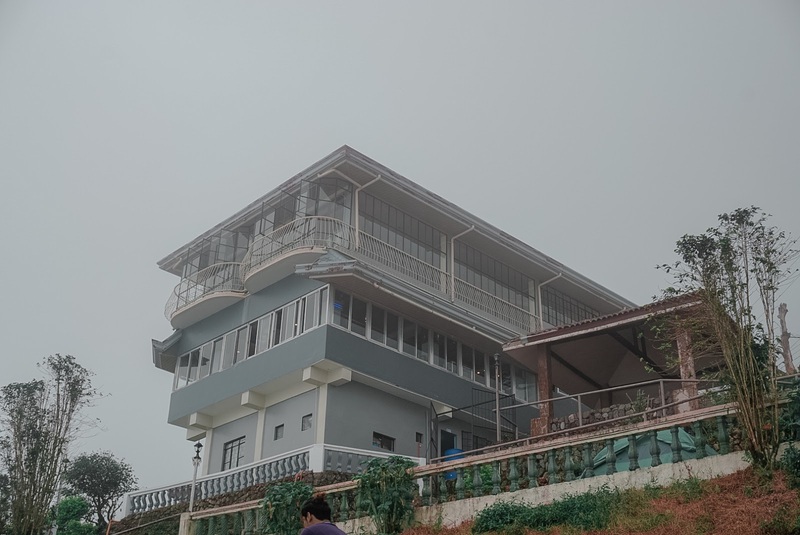 The bathroom is shared by all of the guests in the campsite and is located at the lower level of the main building (just below the bar and restaurant). There one for the men and one for the women. There are at least two shower and toilet stalls. Hot and cold shower is also available but toiletries and towel are not provided by the management. Those who have checked into the campsite have unlimited access to these facilities and amenities. 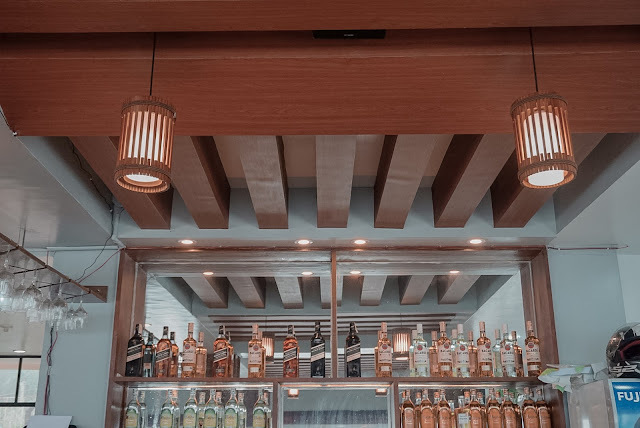 However, those who are only visiting the restaurant and bar can only stay in there. This is where the campers usually spend most of their time as this spot offers quite a good view of Benguet's verdant mountain ranges from afar. Towards the afternoon, you can see the fog flourishing slowly and covering the mountain tops. 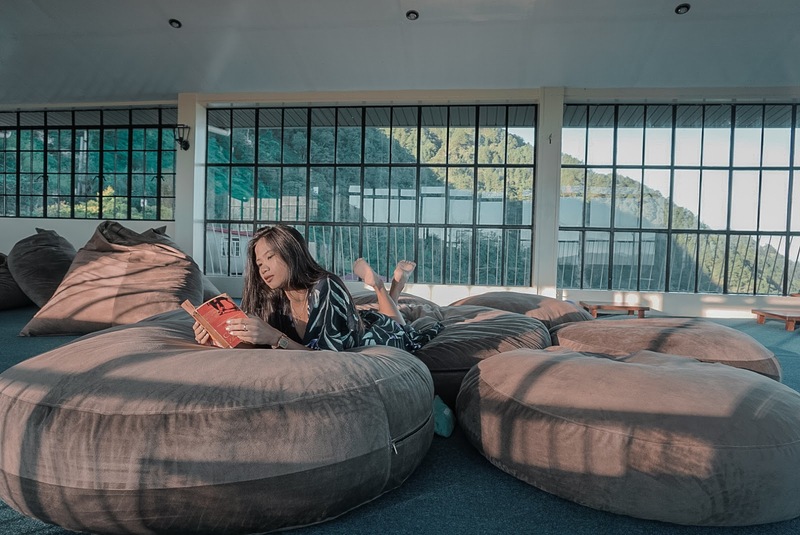 Campers are allowed to take the board and card games at this area as they can enjoy it or read books instead while seated or lying on the enormous bean bags. It is open from 7:00 AM to 11:00 PM. 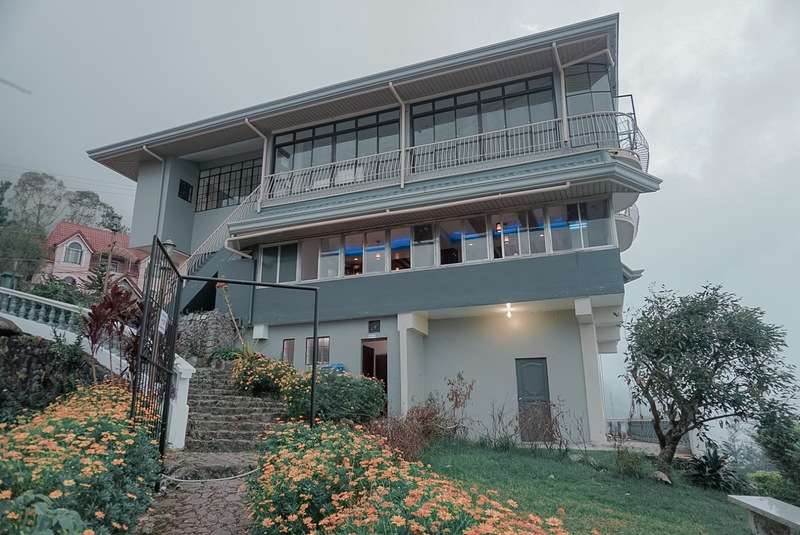 Located at the ground level of the main building, the bar and restaurant offers rice meals, all day breakfast, pasta, light snacks which can be best enjoyed with the view of Benguet's mountain ranges. 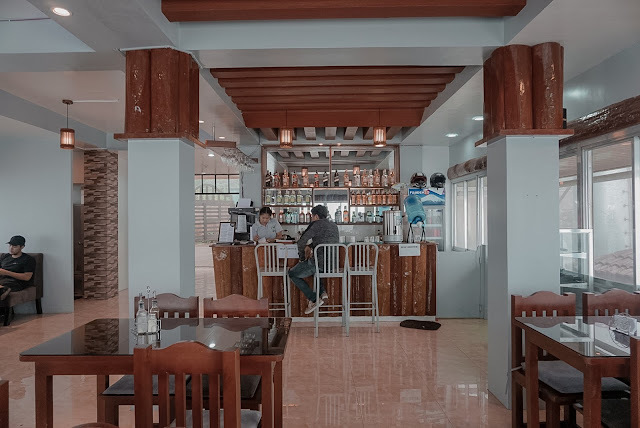 It is also the hub of the unlimited brewed coffee for the campers. Several flights down from the main building is where the campsite lies. 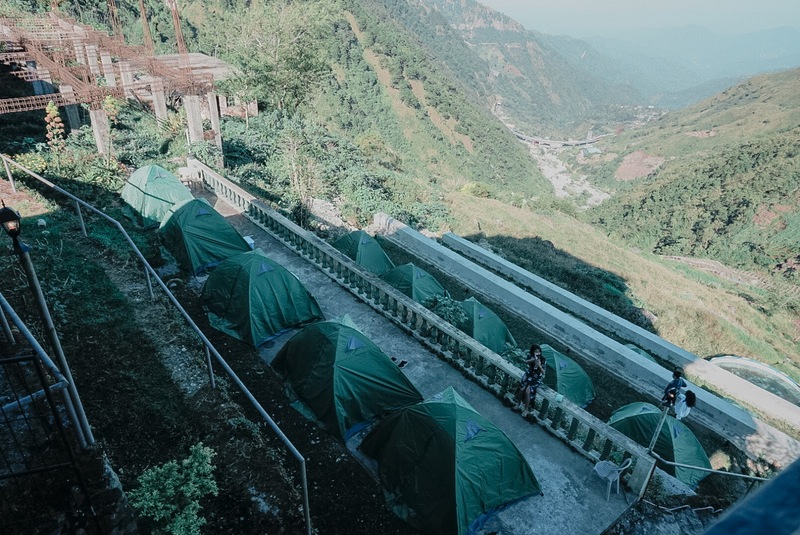 Arrays of green tents can be found in three levels. 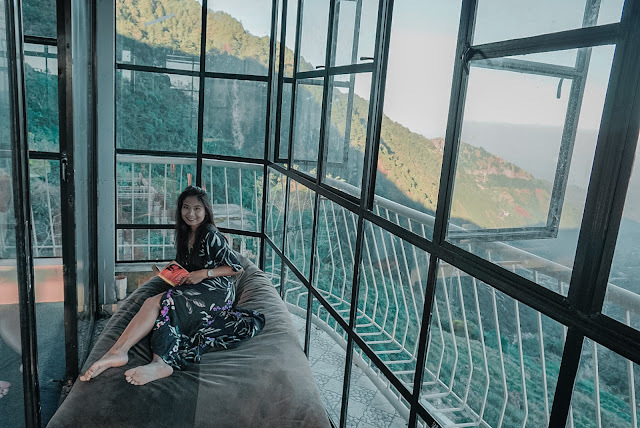 These are the best spots to wake up to the glorious sunrise of Benguet. Each tent can accommodate up to 4 persons. The three rooms are located in a separate building but adjacent to the main one. There are two nipa huts in front of it where campers can also stay. The view deck is actually the first level where the arrays of tents are aligned. 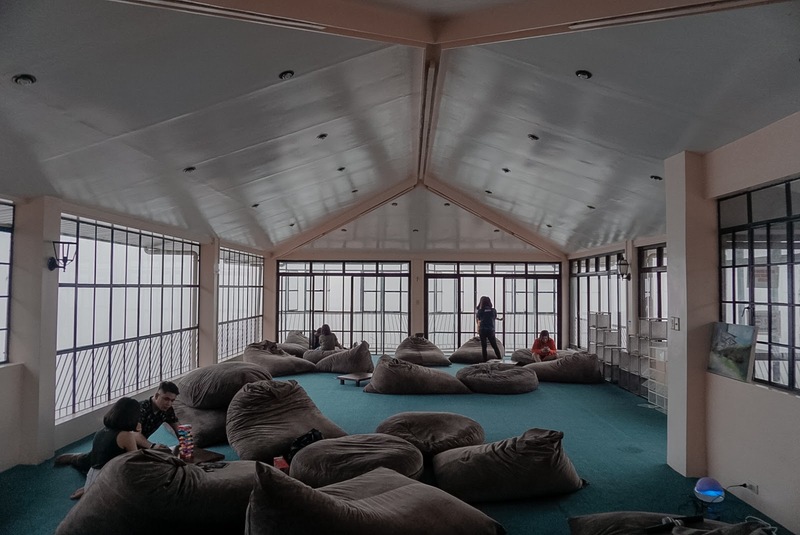 The Campfire area is just located below the main building, at the stairs going to the view deck. The campfire is lit during Saturday nights where the campers can gather. Food is not much of a problem in the campsite as they also have a restaurant which serves good food at a good price. Personally, I find the prices resasonable as an order can be best enjoyed by two to three people. They serve all day breakfast, Filipino food including rice meals, soup, noodles, light snacks, pasta, shakes, unlimited brewed coffee and liquor. Price ranges from 110 to 375php. There is no corkage fee for those who would bring in their own food. 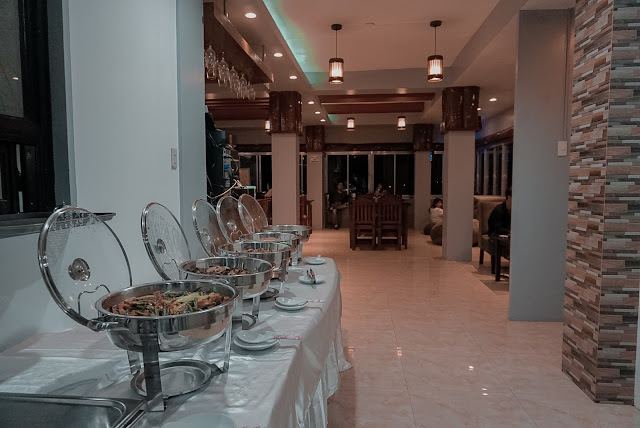 On Saturday nights, Valleypoint Campsite offers a buffet at Php 350.00 (more or less $7) inclusive of soup, desserts, flavored beverage, rice and at least four kinds of viand. >From Pasay or Cubao, take a bus bound for Baguio City. Victory Liner, Genesis and Joybus have daily trips which departs every hour. Tell the conductor to drop you off Green Valley. At the drop off point (across Petron gasoline station), take a jeeney that will take you to Sto. Tomas checkpoint. From there, you can just walk for a few meters to Valleypoint Campsite. Should it take you long waiting for the jeepney, you can also just hail for a taxi that will take you directly to the campsite. This will cost you more or less 100 php ($2). 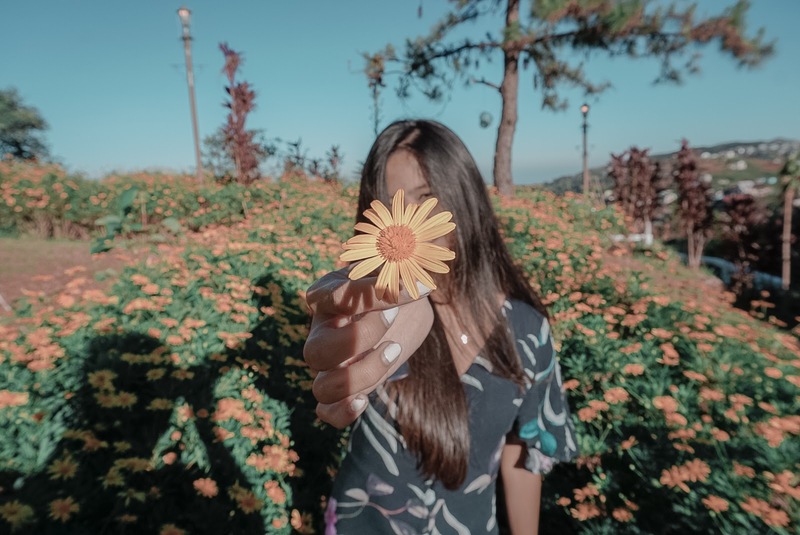 Coming from Baguio gives you two options. OPTION A: The first is a more convenient way since you'll just take a cab directly to Valleypoint Campsite. However, hailing for a cab on weekends is quite a challenge since a lot of tourists also prefer taking this than the jeepneys when getting around the city. The fare depends on where you're coming from. If you'll be coming from around Harrison or Session Road it may cost 120-180php depending on the traffic. If coming from around Mines View Park, it costs around 200-300php. OPTION B: Take a jeepney from Baliwag or around Igotor Park to Sto. Tomas or Green Valley. This costs around 25 php and would take you around 25-30 minutes. Alight at Sto. Tomas Checkpoint then walk your way up to Valleypoint campsite. If you are to leave Valleypoint Campsite, you can either wait on jeepneys bound for Baguio City or a private cab. It is a little challenging to be taking these two as the location is quite far from the national highway and public rides do not often pass. However, you may opt to take the shuttle service offered by the campsite. The shuttle service can take you to Puregold where you can take other public rides you need. If you are going solo or in two, this costs 120php per head. If you are going in groups of 4-5, this costs 60php per head. 1. 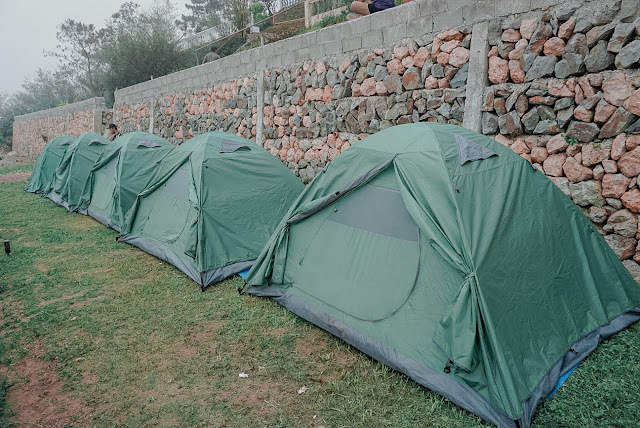 Make sure that you'll bring jackets and lamps that will provide you light at the tents if you have chosen that type of accommodation. 6. Toiletries are not provided by the management so might as well don't forget to bring your own. Also, do not leave the sachet on the bathroom! Take this with you as you leave the area. You may opt to stay at the campsite for to do some stargazing or visit the city for the night market. Leave at least around 8:30 PM if you are to visit the night market alone as it opens at around 9:00 PM. 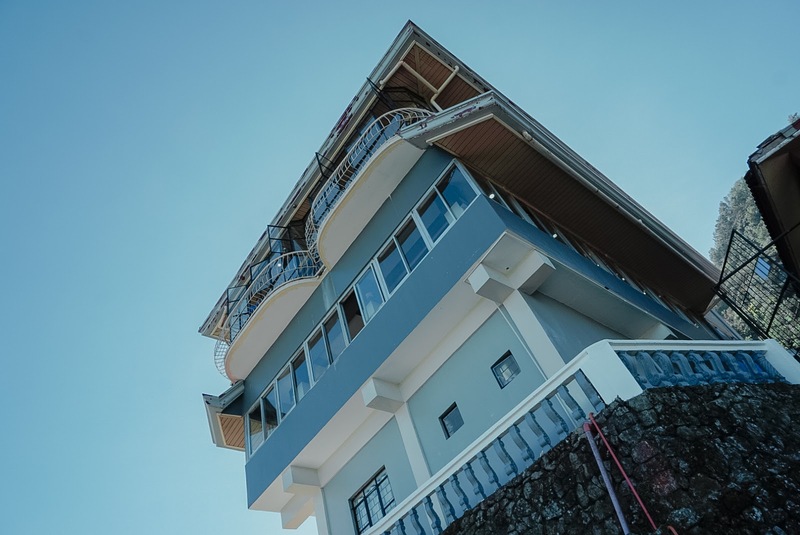 If you'll arrive early on the other hand, you can hang out around Burnham or Igorot Park. Take note that budget may vary depending on your itinerary. Suggested budget is only good for the stay at the campsite alone.